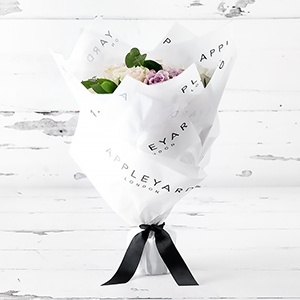 Choose a first bouquet, subscription duration & delivery date. We'll make sure beautiful blooms are delivered each month. 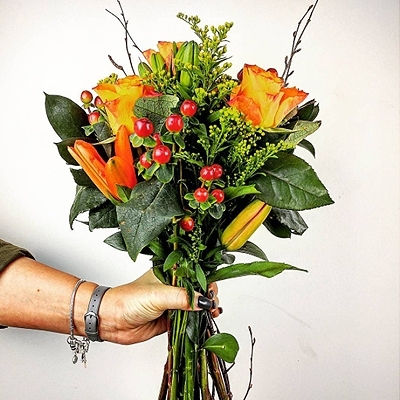 Subscription flowers from £22. The longer you subscribe with us, the more you save. Going on holiday next month? Don’t worry, you can skip upcoming deliveries in your account. 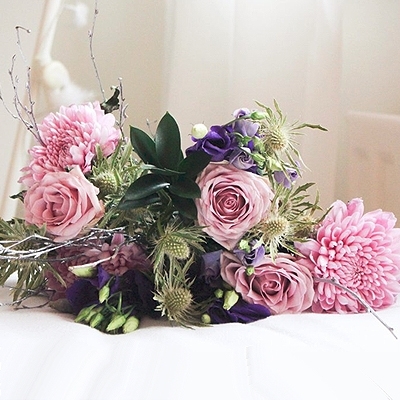 Preview our two collections of 12 months bouquets, specially selected among our most popular arrangement. Excellent service, had no issue delaying and reorganising orders as part of a six month subscription plan. Very responsive and helpful. Flowers have looked great as well. Great Service & beautiful flowers. I ordered the 12month subscription as a birthday gift for a family member. 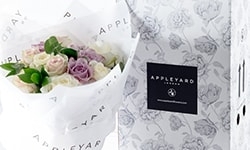 After lots of research there is a lot of online flower subscriptions but Appleyard London seemed to be that little more elegant and the example bouquets looked great online. 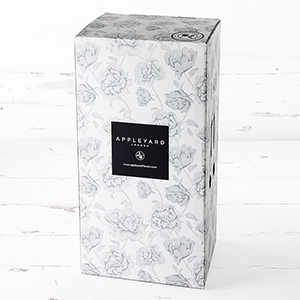 All products are stylishly wrapped in white cellophane and placed in a hydration box, which is then put inside an Appleyard London gift bag and packaged in a large cardboard box for the courier to deliver. 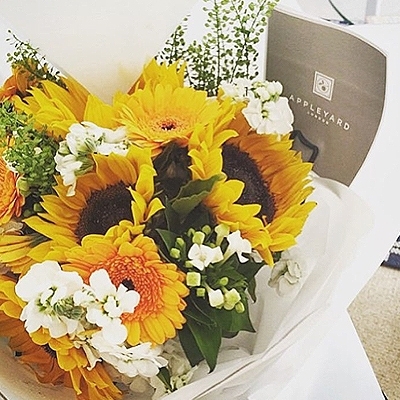 WHAT FLOWERS ARE SENT IN A MONTHLY BLOOMS ORDER? All of our monthly bloom offerings include a special first bouquet which will be highlighted. After the first bouquet you or your recipient will receive a dedicated seasonal bouquet each month for the period of which was chosen. None of our monthly blooms currently come in a vase unless otherwise stated. We are working on introducing this as part of the offering. If you wish to leave the gift with a neighbour or in a safe place you can choose this option under the special delivery instructions section of our product page checkout. CAN I INFORM THE RECIPIENT OF A FLOWERS DELIVERY? 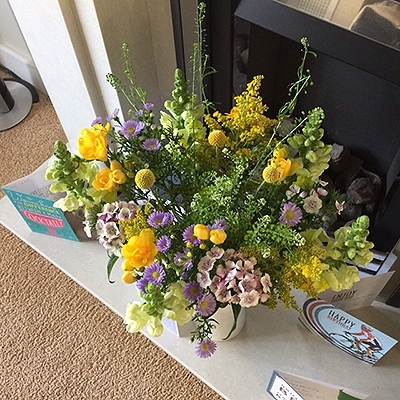 At the success page of placing your order we provide you with the opportunity to leave us your recipients information, so we can send them appropriate information about the delivery of the flowers. We advise that this is only used if your order is not a surprise gift. 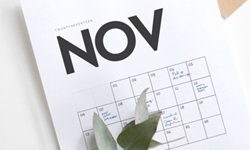 CAN I AMEND OR CANCEL A MONTHLY BLOOMS ORDER? To amend or cancel an order please call our customer service team on 0203 696 1136 (Calls to this number will cost 7p per minute plus your phone company's access charge.) Please note cancellation can only be accepted if received 48 hours before the requested delivery date. Orders placed or cancelled on Saturdays, Sundays or Bank Holidays will be treated as having been received by us on the following working day.